The first decision I made when I started this site was that it’s not about me. Today is the rare exception, as my friend Chris Klibowitz interviewed me for Bicycle Times. And did a better job of capturing why I do what I do than anyone else has. Myself included. San Diego is getting serious about bicycling, with a 32-point proposal to improve cycling in the city. 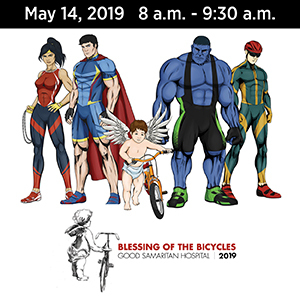 The plan includes appointment of a bike czar, creation of bicycle traffic ticket diversion schools, and bike education for all fourth graders. As well as requiring that 6% of all transportation funds be spent on bicycle projects. All of which would be great ideas for LA. And none of which are currently under consideration. 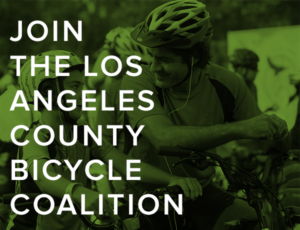 The LACBC is looking for a new Communications Director. Sad to see Carol Feucht leave after doing such a great job in the position for the last several years. Safe Routes to Schools California is looking for a Senior California Policy Manager. A bike rider in a pedal powered velomobile has to pull the statutes out to school the cops who pulled him over about bike law. And who then decide maybe they have better things to do. Thanks to David Wolfberg for the heads-up. Metro wants your input on where Metro’s bikeshare should go next in LA County. Help design the Pico Blvd Great Street this coming Sunday. A graphic from a UCLA student helps show why LA’s Byzantine bureaucracy makes it nearly impossible to take a holistic approach to LA streets. Santa Monica unveiled its new development plan for a more walkable, bikeable downtown area. LA Bike Dad considers how to go bicycling with a new baby. UC Irvine police bust three bike thieves in less than 24 hours. A Newport Beach resident calls for Mariner’s Mile to be transformed into a coastal village welcoming bike riders and pedestrians, without sacrificing parking. The mayor of Palm Springs calls for reducing the city’s share of the planned 50-mile CV Link bikeway circling the Coachella Valley from 16 miles to six. Which would leave a ten mile gap in the bikeway, possibly big enough to ultimately derail it. After months of delays, Bay Area bicyclists will be able to ride on the Bay Bridge bike path seven days a week. But only half way. A Marin columnist predicts disaster if a car should happen to break down on the Richmond-San Rafael Bridge once bike lanes are installed. BuzzFeed offers a list of eleven towns that are best explored by bicycle, starting with my hometown. Although that’s a false premise — every town is best explored by bike or on foot. CNN says bad road design helps explain why Florida and Delaware lead the nation in pedestrian fatalities. It’s not so great for bike riders, either. Venture Capitalists are betting on Chinese-style dockless bikeshare systems as they prepare to invade American cities. A new kid’s bike promises to solve braking problems with a system similar to anti-lock brakes for cars. A disabled Washington veteran is planning to ride the 2,700 mile Tour Divide to raise awareness of disabled vets, and regain control of his life after becoming homeless. Meanwhile, another homeless vet is riding with his dog from Los Angeles to Georgia and back to call attention to Veterans and Their Pets. Make a quick $500 apiece designing bike racks for Carson City NV. 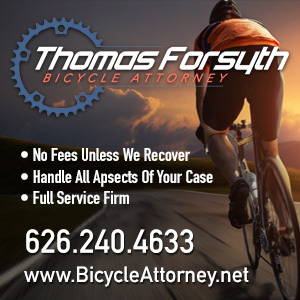 A stoned Utah driver gets just five years for killing a bike rider while high on dope and meth, despite seven previous convictions, most involving drugs. Call it a six week, 12,000 foot high ciclovía, as Colorado’s Trail Ridge Road opens to bicycles through Rocky Mountain National Park; the road will remain closed to vehicles until the end of May. For $45 a month, a Texas man will deliver 30 days of fresh, personalized poems to your home by bicycle every morning. A bill to increase the bike passing distance in Oklahoma from three to five feet and raise the penalty for killing a bicyclist to $10,000 has stalled in the state Senate. Meanwhile, an Iowa bill requiring drivers to change lanes to pass bicyclists didn’t fare any better. A Minnesota letter writer takes a local paper to task for its bicycle safety suggestions while getting nearly everything wrong; he argues that bike riders are safer on the sidewalk, and that sharrows don’t indicate where people are supposed to ride. Once again, New York police respond to the death of a bike-riding woman, who was doing nothing wrong, by cracking down on bicyclists. A Philly horse owner gives chase to a runaway steed across much of the city by bicycle before police finally corralled it. A bighearted Calgary woman has turned her kitchen into a bike repair shop, buying and fixing 60 kids bikes to donate to kids in need. An 89-year old Brit woman suffers her first bike theft after 85 years of riding. And offers pour in to replace it. Caught on video: An English bike thief needs less than 60 seconds to make off with a locked bicycle, responding to a challenge from the person recording him by saying it was his bike and telling the man to mind his own business. It takes a real schmuck to steal a British kid’s bike after he passes out in a diabetic coma while riding in a playground. An expat describes becoming a ciclista in Florence, Italy. Following the route taken by Hannibal through Europe by bicycle, instead of elephants. It’s been almost 99 years since then 18-year old Earnest Hemingway was nearly killed by a mortar round after riding a bicycle to deliver chocolate and cigarettes to the Italian trenches in WWI. Bike lanes in Johannesburg go largely unused due to lack of an interconnected network and blocked or poorly maintained lanes, as well as safety concerns. The story could be about Los Angeles — including the argument that bike lanes are a benefit for the wealthy, which was one reason given by CD1 Councilmember Gil Cedillo for blocking bike lanes in his largely working class and immigrant district. Never mind that lower income students and workers often rely on their bikes for transportation. Australia’s Queensland state will spend $162 million over four years to improve bicycling facilities. A Japanese university has developed an ebike that recharges wirelessly using microwaves. And can make popcorn, too. A Malaysian news site looks at the reasons people ride bikes, and what needs to be done to keep them safe on the roads. Your next bike could be a skateboard. A new video says ride your bike, or we’ll all be extinct in 13 years. And apparently, riding a time trial is even better than chocolate. Thank you, Ted Rogers, for giving voice to the voiceless. I’m the Detroit velomobile rider teaching traffic law to police during stops. Rest of the story is I’ve had about 75 police stops in metro Detroit (and suburbs) in 2.5 years, so I’ve been forced to carry the law with me, and I have a lot of practice now in whipping it out and using it. You never know about bad behavior by police until it happens to you. Thanks for the exposure! Good approach, you’re not confrontational or anything that’s where some have problems. Interesting how in your video officers aren’t really that interested in the fine print aka laws. Officer mainly wanted to discuss rules of the road when using a bike lane (on a different street). But since you’re going the speed limit not sure why that would apply anyways. Gosh in all my years pedaling around LA I’ve only been stopped once and I totally deserved it, and got a warning. 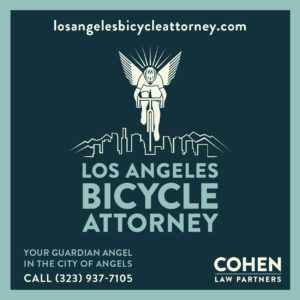 There was a great video a cyclist took while getting stopped for pedaling in a bus lane on Wilshire in front of a sign that said it was OK for cyclists to use. You’re welcome, thanks for posting it. Not too surprising how often you’ve been stopped. Too many cops aren’t adequately trained in bike law, let alone know what to make of an unusual bike like yours. Smart move carrying the statutes with you.